Murfreesboro Spotlight: Who Are We? Priority Staffing Group recently made some internal staff changes in Murfreesboro, Tennessee. 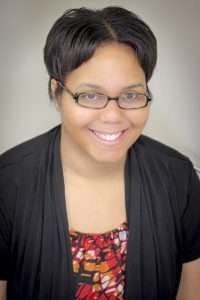 On March 19th, Angel Davenport joined the team as Business Development Specialist. A Middle Tennessee native, Angel embraces her southern roots and values genuine hospitality, making her an expert at servicing our clients. She has been working in sales and business management for the past seven years in a wide variety of industries, including beauty, creative arts and real estate. We are excited to have her join our team! Other personnel changes for this office include Liz Sawyer moving into the Director of Operations role as of January 2018. Previously, as the Marketing and Account Manager, she used her experience in writing and communications to promote our company and provide our applicants with resume revisions, job interview tips and coaching. She will now continue to lead our corporate marketing department as well as the Tennessee office. Ally Farlow, Account Manager, and Julie Simpson, Front Office Coordinator, will continue to service our office with their excellent customer service skills. Ally uses her bold personality to recruit for and manage our client accounts. She helps organize Priority Staffing Group recruiting events and is dedicated to educating our applicants to ensure their success. Ally takes our company motto, Your Success is Our Priority, to heart. Julie acts as the face of our Tennessee office. Not only does she greet applicants and clients, but she also assists with all applications and new hire paperwork to ensure we are compliant with state and federal laws. Her willingness to pick up and learn new skills has created great opportunities for our whole office. Both women have proven themselves to be assets to our team and we are thrilled to have them in our Murfreesboro office. To reach Angel, Liz, Ally or Julie, call (615) 295-2127 or email us. https://www.prioritystaffinggroup.com/wp-content/uploads/2019/04/Group16_edit.jpg 2400 3000 liz https://prioritystaffinggroup.com/wp-content/uploads/2017/03/PSG-Transparent-Logo-300x142.png liz2018-03-19 19:47:572019-04-15 20:02:02Murfreesboro Spotlight: Who Are We? Celesta Bowers joined Priority Group in April as the new Finance Manager. She grew up in Marion, IL and loves living and working here. She first fell in love with Accounting after taking her first accounting course in high school. Then, the first in her family to graduate college, she earned her Bachelor of Science in Accounting and her Masters of Accountancy, Audit/Systems from Southern Illinois University. Before joining Priority Group, she worked for three years as a Cost Accountant in the Wire and Cable industry in Du Quoin, IL; and prior to that, three years as an Accountant for doctors and hospitals. After having her boys, she decided she should spend less time on the road away from her family. Gail and Heather let her see that at Priority Group, she’d be a part of a growing business and family, not just another place to work. Her experience will now help further the financial growth of our business. When not in the office, Celesta enjoys spending time with her husband and two boys, volunteering at the Boyton Street Community Center, traveling and taking pictures. Robyn Sprowls, previously employed as our Payroll Specialist/Bookkeeper, has returned to Priority Group as the Front Office Coordinator, but continues to assist with bookkeeping. Her role at the Marion, IL office is important to the functions of Priority Staffing and Priority Professional Groups. Her diverse administrative background, working in retail and corporate office environments, allows her to handle a variety of projects and meet deadlines. Her education at Rend Lake College, in addition to her extensive experience, enables her to communicate easily and effectively with applicants and clients. Robyn’s outgoing personality is important as the face of the company; she reassures the applicants that they can complete their application with ease. Robyn loves traveling, racing and spending time with her family when she’s not at work. Priority Staffing Group started off the year by adding two new members to their Murfreesboro team. The company’s newest office is excited for what this growth will bring. Ally Farlow joined Priority Staffing Group as an Account Manager on January 9th. Ally, originally from Southern Illinois, is currently pursuing a degree at Middle Tennessee State University. She brings six years of sales and customer service experience to Priority Group and loves that her time in insurance and event sales led her to this opportunity, where she’s able to meet people from so many different walks of life. Outside of work, Ally spends her free time with her husband and their two sons. They enjoy traveling and having new experiences together. 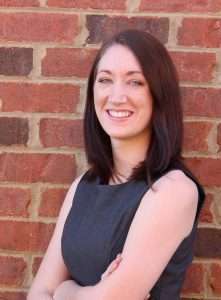 Liz Sawyer joined Priority Group on January 16th as the Office/Marketing Coordinator. Liz is a Middle Tennessee State University alumna with a Bachelor degree in Journalism. Liz transfers her experience in writing and communications to provide our applicants with resume revisions and coaching. Her passion for helping people contributes to her efforts at Priority Group. Outside the office, Liz loves writing and spending time outdoors with her husband and their Great Dane. Ally and Liz can be contacted at (615) 295-2127.